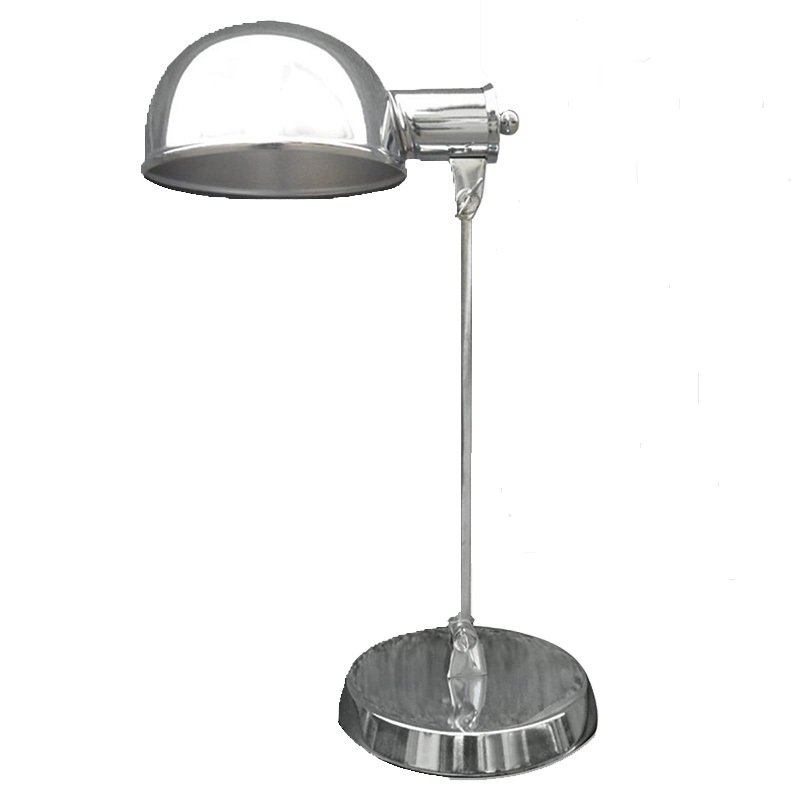 This charming nickel chrome desk lamp is a winters delight. A simple narrow body and rounded metal shade make a retro design look modern. 7" x 10" x 18"